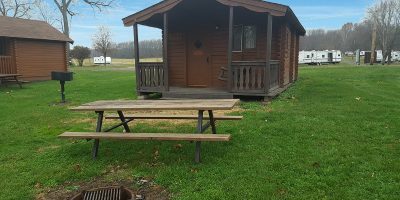 The Getaway log cabin package is one of Conestoga’s most popular small log cabin floor plans among campground owners looking for affordable cabin kits. It is a basic log cabin kit featuring two rooms. Your visitors will enter into the main room that is just shy of 10 feet long with a width of 13 feet. It is designed to hold two sets of bunk beds. It will also accommodate one bunk over double and one bunk bed. Conestoga offers furniture designed specifically for these spaces. 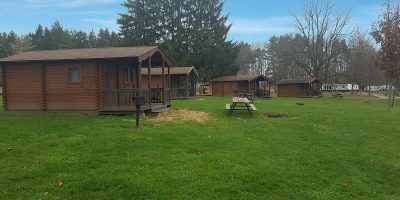 Beyond the bunk room is a full three piece bathroom with sink, shower and toilet. The six foot deep covered front porch offers a place for your guests to sit outside and enjoy the weather. You can’t help but notice the incredibly reasonable starting price of the Getaway. For under $20,000 you can own a rugged, sturdy, low maintenance log cabin kit that can be a money maker for your property for generations. 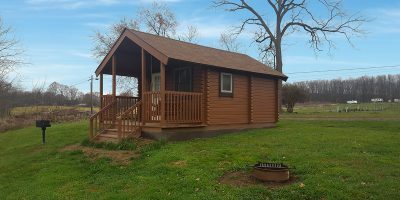 Getaway cabins are affordable cabin kits that are basic but offer more than just shelter. 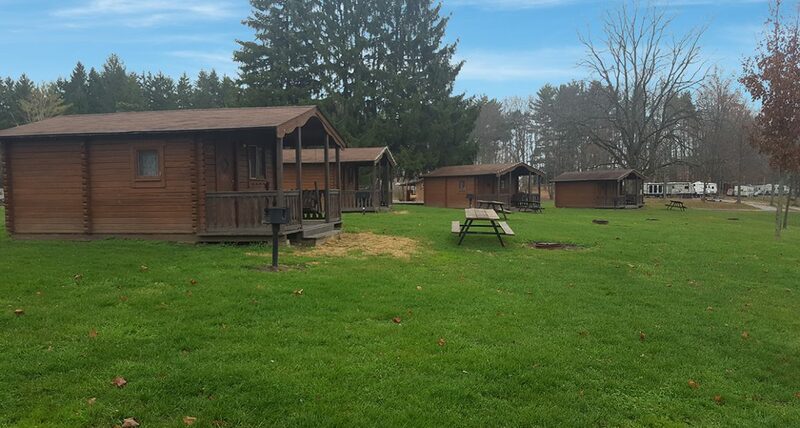 Like all Conestoga log cabins, the Getaway log cabin is completely customizable to suit the needs of your business. Conestoga has a full line of small log cabin kits. The Aspen shares the same 15 foot by 13 foot exterior as the Getaway but has two bunkrooms instead of a bathroom. If you want a cabins that are even more basic than the Getaway, look at the Pioneer and the Conestoga. 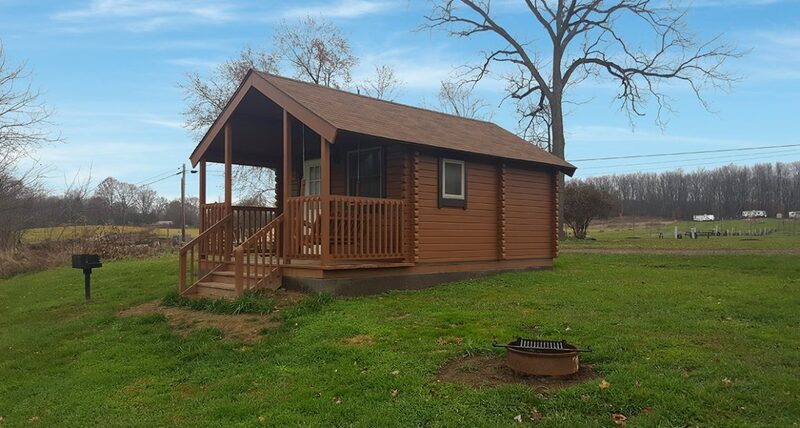 They are simple one-room cabins that still offer our renowned craftsmanship and charm. Contact us to discuss the Getaway or any other log cabin kit that will surely enhance your camping resort.